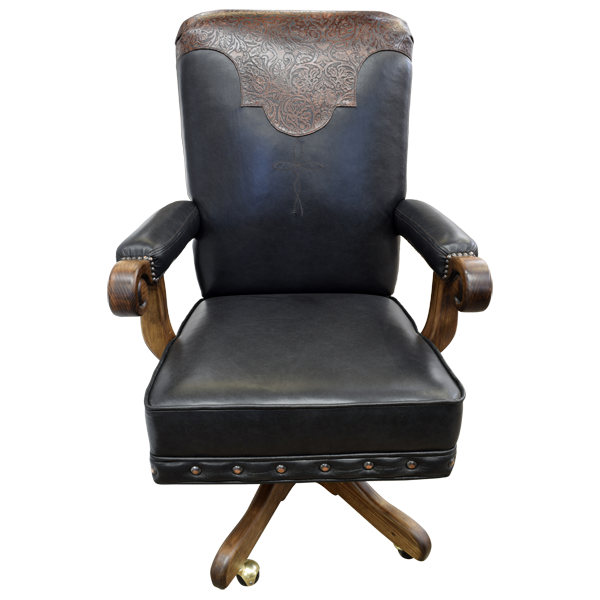 With its contrasting, full grain leather upholstery and executive finish, this handcrafted, Western style office chair is essential to your office décor. 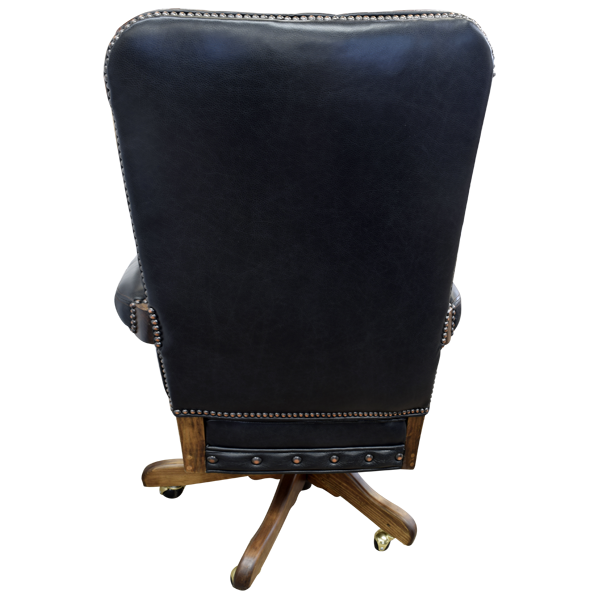 The seat cushion, the seat back, and part of the armrest are upholstered in opulent, black, full grain leather. 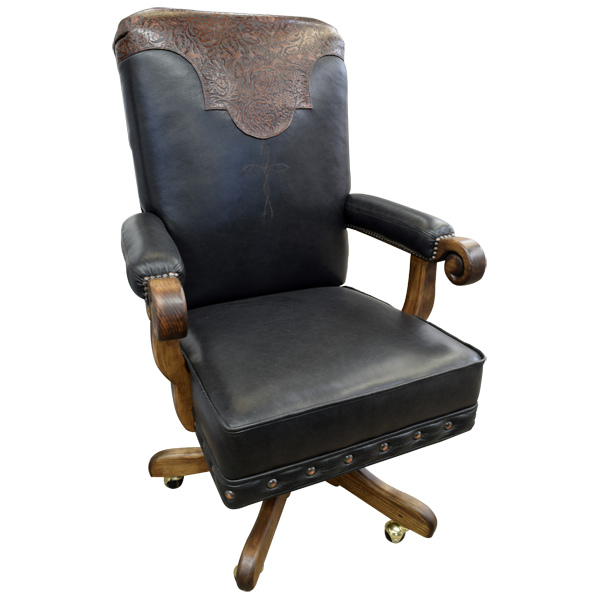 The inside seat back is adorned with a Western cut design with contrasting, brown, embossed, full grain leather upholstery. The armrest are beautifully finished with a lovely, brown stain and they end in a scroll design. The base of the seat cushion is hand tacked with large, gilt nails, and the remaining part of the upholstery is hand tacked with small, gilt nails. 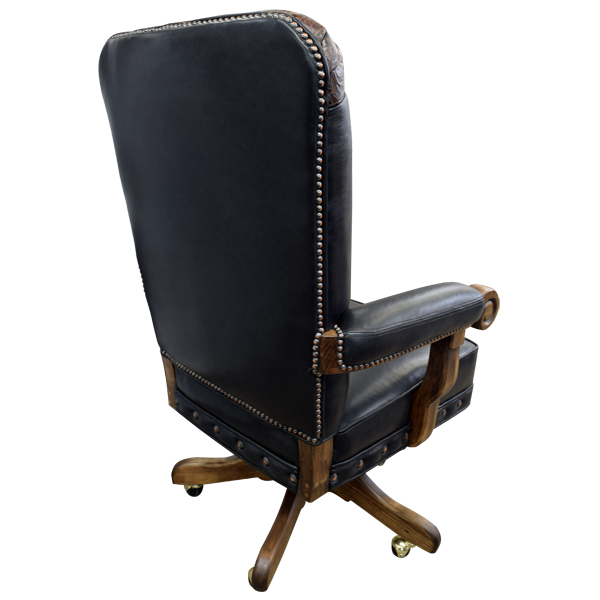 The leather upholstery is double stitched together for extra strength and durability. 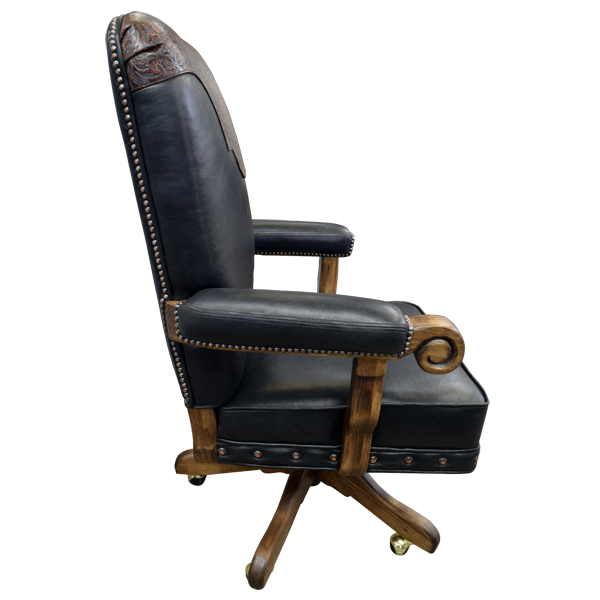 Resting on solid wood, brown stained, quadripartite, revolving supports, the office chair has caster wheels for extra mobility. It is 100% customizable.